Open House This Sunday From 3-5 p.m. in Castle Harbour located 3 Minutes North of Port Perry !! Join us Sunday afternoon @ 32 Castle Harbour Drive in Port Perry between 3 – 5 p.m. and take a tour of this wonderful home. Welcome to 15093 Old Simcoe Rd! Lovely 3+1 Bedroom Raised Bungalow In a Fantastic Family Friendly Neighbourhood of Port Perry. Only 1 Family has cared for and loved this home for the past 38 years. Its Time for a new Family to start creating their own memories. This Home Is Conveniently Located Close To Shopping, Restaurants, Schools & Downtown Port Perry. There is also a local park across the street. There are 3 Large Bedrooms, 2 Bathrooms (1 is a powder room on the lower level that could be expanded into a larger 3 piece with some creativity). The Spacious Eat-In Kitchen has Walk Out To the Deck and into a Massive Backyard with Garden Shed. Join us today from 1 -4 p.m. at 1113 Tall Pine Ave and tour this wonderful 3 Bedroom Home in a simply fantastic home in a very family friendly neighbourhood. 1113 Tall Pine Ave in Oshawa has 3 Bedrooms + 3 Bathrooms and is just over 1500 square feet. Unspoiled Basement has a walk Out to the Backyard and a rough in for a 3 piece bathroom. Don’t Miss this Opportunity – Drop by today and took a look for yourself. 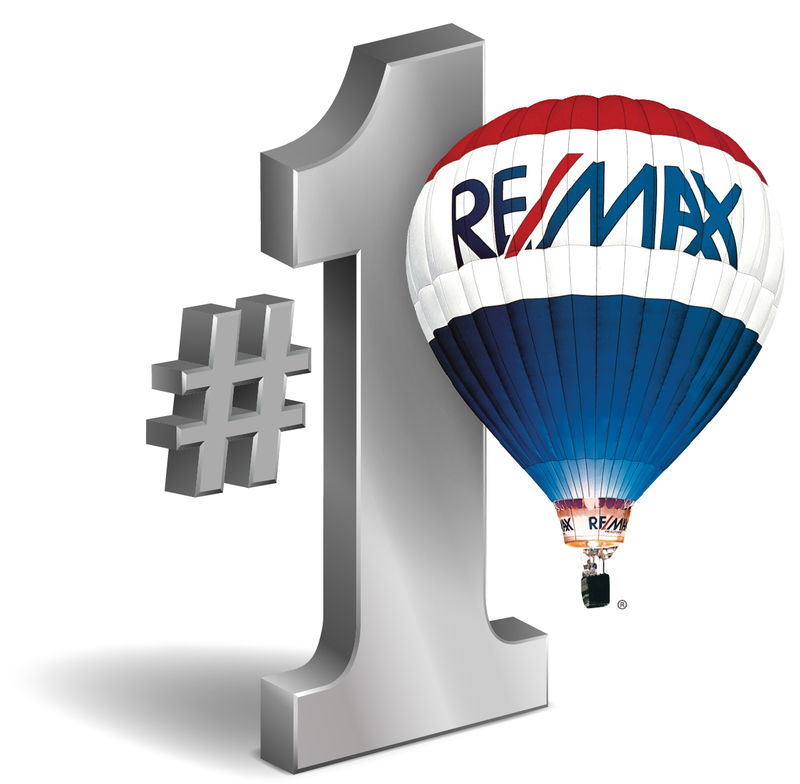 Durham Region is quickly becoming a very desirable place to be and Live! I can think of so many reasons why families are looking eastward from Toronto. The two very prominent reasons for this recent increase in demand are the fact that prices in the area remain very much in reach for many first time home buyers and move up buyers in the Toronto market. That combined with the extension of the 407 ETR out to Harmony Rd. in December 2015 will vastly reduce travel times into Toronto, Person Airport and other surrounding communities that now employ a great deal of people such as Mississauga, Vaughan and Richmond Hill. 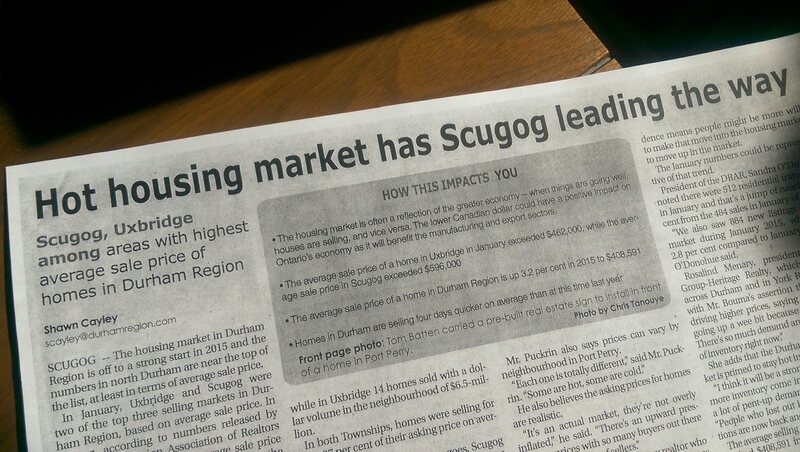 In a recent article in the Port Perry Star I was surprised to see that the Township of Scugog which is where Port Perry is located, actually has the highest average selling price in Durham Region for 2015 so far at $596,201. 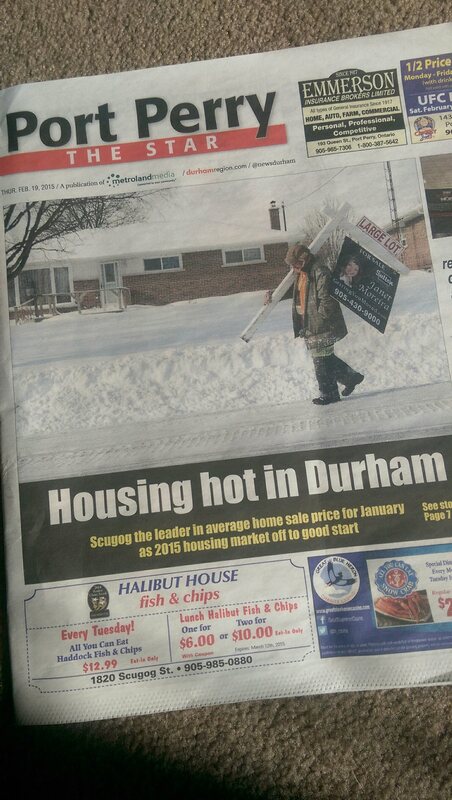 The article also stated that Scugog township shot near the top of the list for single detached homes with an average cost of $614,000 second to Pickering with an average selling price for a single detached home at $615,000. There are many factors that will influence average prices; Overall population and the type of housing available to buyers in those cities, communities or towns will have a major impact. 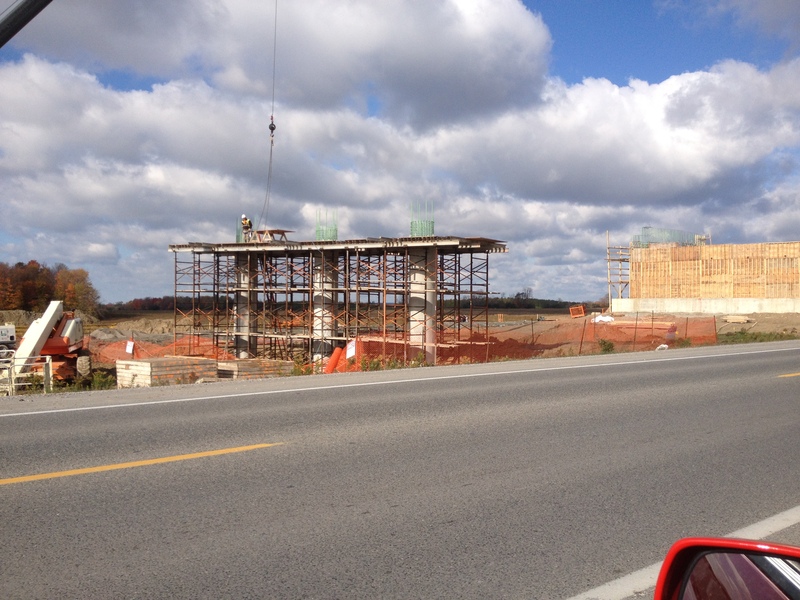 Take for example Oshawa which has a greater mix of housing types with Semi Detached, Townhomes, Condo Apartments and Single Detached homes compared to a town such as Uxbridge or Port Perry where the resale market is dominated by larger Single family detached homes and not a lot of Townhomes or Semi Detached homes available for buyers. The article also went on to talk about current inventory levels not being at the same level as demand from buyers, which results in a bit of sellers market. Even though there was a 6% increase in the number of residential transactions so far in 2015 demand from Buyers still outstrips the current inventory levels. Many buyers who have been involved in multiple offers will remain in the market and will probably be even more active once this cold and snow is gone. Many industry leaders across the region are pointing to the economy (lower Interest rates), the lower Canadian Dollar and strengthened exports to continue fueling better job possibilities which will in turn continue to drive this very active real estate market.